English is a language with a huge vocabulary. To make matters even more confusing, many of these words have more than one meaning. 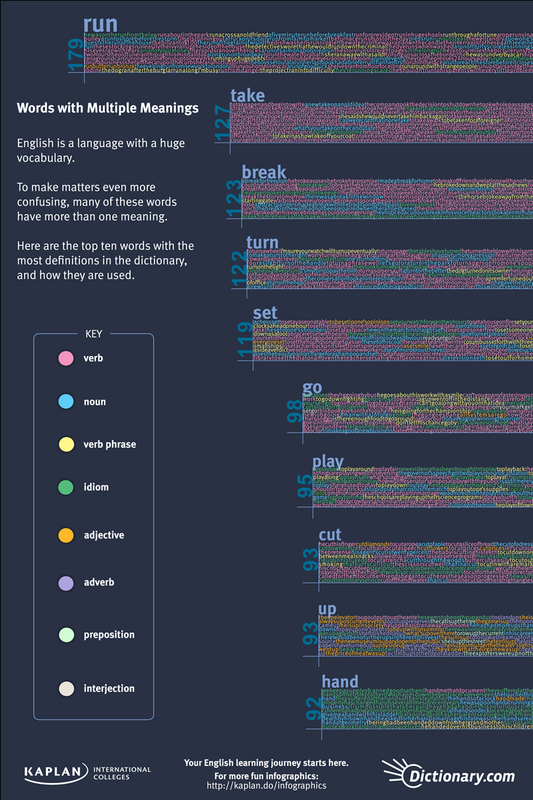 This infographic shows the top ten words with the most definitions in the dictionary, and how they are used.